JC Brouchard's recently unearthed Diary of a young fan covers the years 1981 to 1984.
concerts promoted by Creation Records in London. 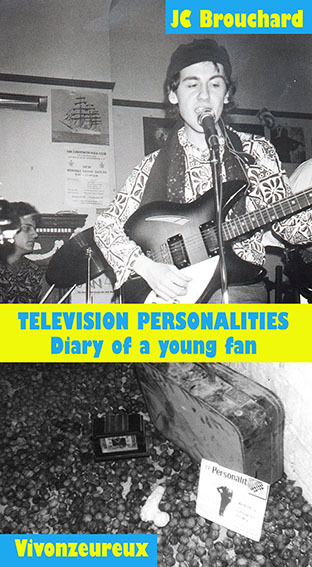 Most importantly, it acts as a tribute to Television Personalities, Dan Treacy's band. and influenced several generations of musicans, from British noisy pop anglaise to US lo-fi. Television Personalities, The painted word, 1984.